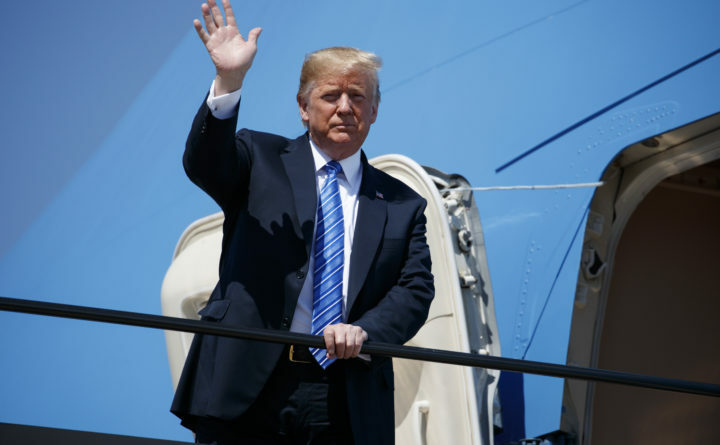 President Donald Trump arrives Tuesday at Kansas City International Airport to attend the national convention of the Veterans of Foreign Wars in Kansas City, Missouri. WASHINGTON — The government announced a $12 billion plan Tuesday to assist farmers who have been hurt by President Donald Trump’s trade disputes with China and other trading partners. In Kansas City, meanwhile, Trump told a veterans’ convention that he was trying to renegotiate trade agreements that he said have hurt American workers, and he asked for patience ahead of key talks. Agriculture officials said the payments couldn’t be calculated until after harvests come in. Brad Karmen, the USDA’s assistant deputy administrator for farm programs, noted that the wheat harvest is already in, so wheat farmers could get payments sooner than other growers. The rhetoric came as the president has engaged in hard-line trade negotiations with China, Canada and European nations, seeking to revise trade deals he says have undermined the nation’s manufacturing base and led to a wave of job losses in recent decades.